Hi there! Thank you for taking the time to stop by. My name is Angie Wynne, the girl behind Angie Wynne Photography, based out of St. Louis, MO. I am a lifestyle photographer specializing in newborn, maternity, and family photography. I am mama to a 5 year old little boy , 2.5 year old little girl and brand new baby boy. Prior to becoming a photographer, I was a PICU and helicopter RN at our local children's hospital. I interacted with children and families during some of the hardest times in their lives. This experience helps me bring a unique perspective to my photography. I value those small moments and details that we as parents, want to remember about our children. I began this photography journey while capturing my own children as they grew. I quickly fell in love with the lighting and emotion found in photography. I love capturing all the little moments, the ones that might seem mundane on the surface but to me are the images that truly matter. The little things. A session with me contains lots of laughing, snuggles, running, and dancing. My intention is to capture those candid shots that I love and families will cherish. Parents can relax knowing that their kids can be themselves. 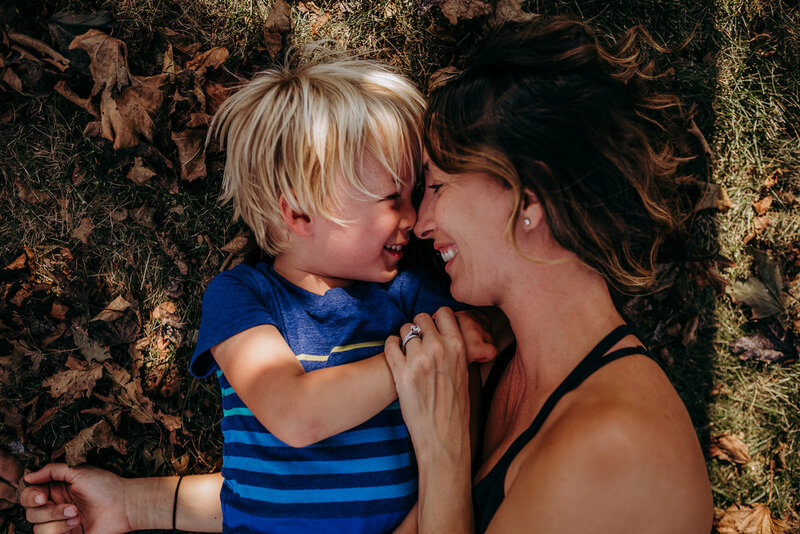 Whether it is quiet or loud, or laughing or serious, I want to capture YOUR family as they are now including whatever beautiful chaos that may bring! I would love to spend a morning or evening getting to know your family.